When designing the sub-8 shoe, we did our research. We asked some of the world's top triathletes what they wanted in a shoe. 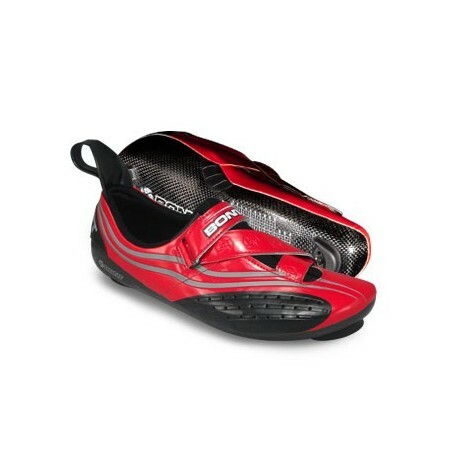 Primarily they wanted a shoe that was fast in transition, that was easy to get on quickly. So, coupled with Bont's super stiff base, we added a 2 part tongue that allows the shoe to open all the way up and then we added a built in shoe horn. The shoe horn has a large loop that is easy to grab and you can put the sub-8 on with just one finger. 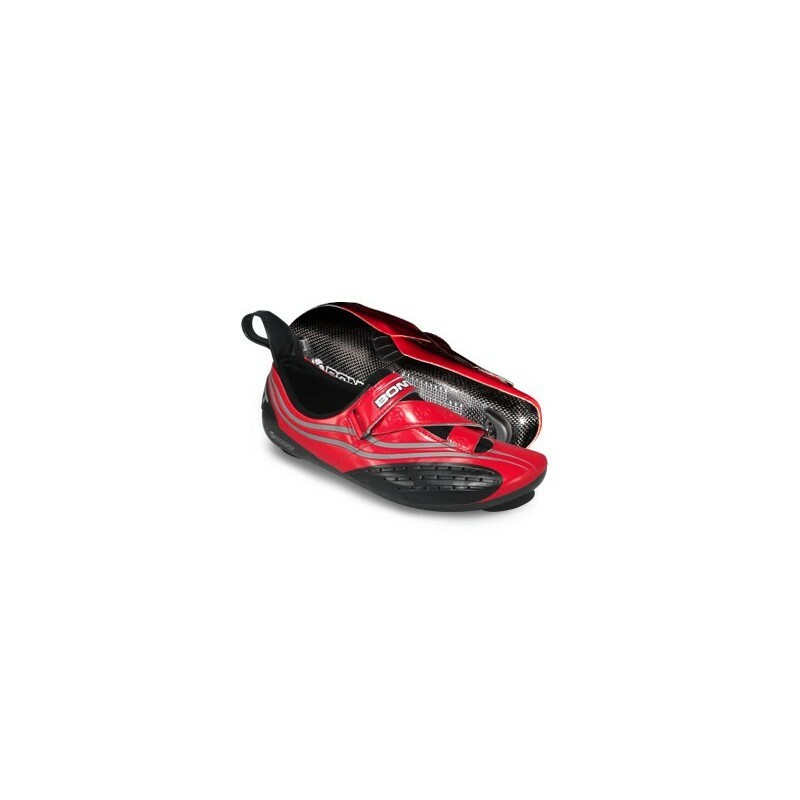 The shoe closes with a single velcro closing that crisscrosses the shoe. The heel of the shoe is protected with a heel protector. This shoe is made of 100% carbon fiber and is extremely light weight, coming in at just 225 grams, and has a super slim stack height of 3.6mm. Air is pumped into the shoe via the air gills in the arch of shoe as well as through 40 air vents. The base of the shoe has a grid which makes lining up your cleats a synch.